The Geneva Association, the leading international think tank of the insurance industry, announced today that Jad Ariss has been appointed Secretary General, effective 1 March 2019. Mr Ariss joins The Geneva Association after a distinguished and diverse career. Most recently, Mr Ariss was AXA Group Head of Public Affairs and Corporate Responsibility and prior to that he was CEO of AXA Middle East & Africa, leading AXA's operations across 14 countries in the Middle East and Africa. Mr Ariss joined AXA in 1995 as CFO of AXA Global Risks, and then became Group Head of Investor Relations. 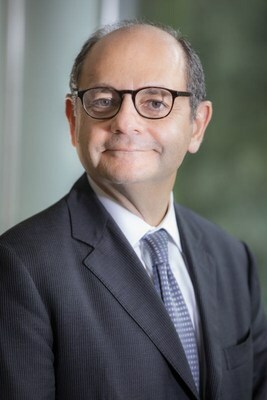 He has also held several senior positions at AXA France including Secretary General; Head of P&C commercial lines; Human Resources Director; CEO of AXA Enterprises, and Deputy CEO of AXA France. Earlier in his career Mr Ariss spent six years at McKinsey & Company working on strategy and organisation projects for the financial services industry in Paris, Brussels and Hong Kong. Mr Ariss holds a Bachelor's degree from HEC Paris and an MBA degree from the Wharton School of the University of Pennsylvania. "The Board is pleased to welcome Jad Ariss to the role of Secretary General," said Charles Brindamour, Chairman of The Geneva Association. "With his extensive insurance experience and knowledge of international markets and financial services, Mr Ariss is the right choice to ensure that The Geneva Association is a thought leader on global insurance trends and a strong advocate for our industry." "I am honoured to lead The Geneva Association, the only global membership organisation of insurance CEOs. Since its founding in 1973 it has brought together the leading voices in the insurance industry, thought leaders and policymakers to better understand risks and to promote the unique role of insurance as an enabler of societal progress," said Mr Ariss. "I look forward to working with The Geneva Association members, staff and key stakeholders to further the insurance industry's commitment to finding solutions to some of the world's most pressing challenges."